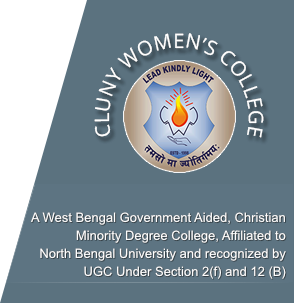 Our College Motto is “LEAD KINDLY LIGHT”. In it is contained the quintessence of all philosophy; to act in the present and not to worry about the future. With its primordial imagery of dark and light the, motto speaks to anyone who is struggling, amid the gloom, to take the next step towards truth. It is a prayer trusting in God’s kindly providence, to lead on through the tumult of life. Life is like a dark journey, but at peace, because God is leading us. To offer Fullness of Life and to accompany our students “To Be More” for themselves and for others. Following Jesus our Divine Guru, inspired by Anne Marie, the Educator, we give priority to Witnessing and developing Gospel Values of Liberty, Fraternity, Dignity of the human person, Peace and Non-Violence, Justice, Forgiveness and Compassion. We aspire to develop Intellectual caliber, to be high energy level people; that our doing flows from our “Being”. Through our Education, we help our students to improve their Self Image and Make them want to attain one day, that place, which they are called to occupy in the Society. ​​​The Sisters, Staff, Students, Parents, and Benefactors all share the responsibility to contribute to the total educative process.